Greenpoint Veterinary Hospital provides modern, professional and affordable health care for your pets. We aim to make your pet feel at ease in our clinic with a caring and gentle approach to treatment and consultations. Our dedicated staff and leading veterinarians are all passionate about pets and avid animal lovers. At Greenpoint Veterinary Hospital, you’ll be fully supported with sound advice first and foremost. We know that helping our clients starts with providing a good understanding of health care issues and treatment options. With good advice and professional recommendations, you’ll be well equipped to make the best ongoing health care decisions for your pet. With fully equipped examination rooms, diagnostic machines including brand new DIGITAL RADIOLOGY and ULTRASOUND and pharmaceutical stores we provide on-the-spot assistance for nearly all pet health and medical needs. WE NOW DO TIBIAL TUBEROSITY ADVANCEMENTS - (TTA) a superior technique for large dog anterior cruciate rupture repair done by our surgical expert DR INGRID TROMMELMANS. PUPPY PRESCHOOLS are run regularly mostly on Saturday mornings in our hospital grounds. For puppies from 6-16 weeks old.Bookings vaccinations essential. We are situated on an acre of beautiful gardens . Once you have checked in feel free to walk the grounds.Lots of pets feel better outside rather than in while waiting . If time is critical please phone for an appointment. We welcome patients who have no appointment and can generally see them speedily as mostly we have one vet doing appointments and the other vet doing everything else - however pets with appointments have preference. Being a hospital however ,we sometimes have emergencies which take perference over all else. 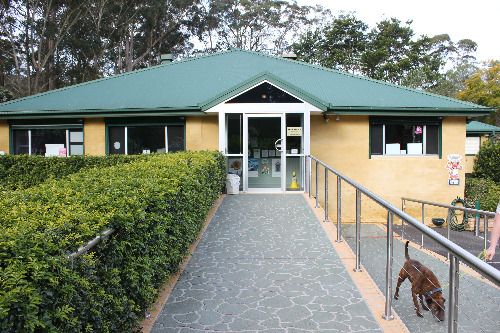 Our Veterinary Hospital has been an integral part of our local community for over 20 years. In that time, we’ve helped thousands of our clients cats & dogs, rabbits & guinea pigs, birds, horses and even a few snakes. Being so strongly integrated with our local community is important to us and our clients. Our customers know by experience that they can rely on us for sound advice and treatment options and that their pet is in the very best hands with our team.